Growing up as an athlete, Dr. Stuart always knew he wanted to work in healthcare—first deciding on a career as an orthopedic surgeon. However, when tragedy struck his family with the passing of his dear father, he became the patriarch of his family and obtained a business degree, later working as a chief negotiator for a worldwide corporation. It wasn’t until Dr. Stuart married into a family of chiropractors that his interest was piqued—he knew he was put on this earth to help people, and doing so naturally with the touch of a hand was just the way to do it. At 32, Dr. Stuart left a lucrative career in business to follow his true calling as a chiropractor. He attended the renowned Cleveland College of Chiropractic in Kansas City where he received his Doctor of Chiropractic. 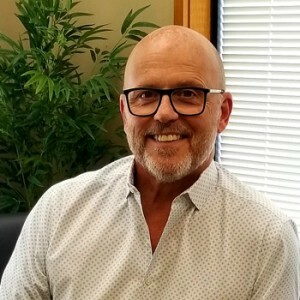 Dr. Stuart subscribes to a couple of different philosophies in his practice—one being, “Love your patients, and everything else falls into place.” Every day that he comes to work, he brings the best possible chiropractic care and techniques to his patients. From newborns to patients who are into their tenth decade of life, there’s something for everyone at Stuart Chiropractic Health Center. When he isn’t changing lives at the practice, Dr. Stuart enjoys spending time with his family and practices a healthy lifestyle. He and his wife love to travel and are also members of their church’s parish council. Dr. Stuart is a lifelong Dallas Cowboy’s fan and enjoys cheering on the University of Kansas athletic teams—GO JAYHAWKS! We’d love to see you in our practice! If you’d like to schedule your free consultation at Stuart Chiropractic Health Center, contact us today to get started. We happily accept walk-in appointments. Get back to living your best life today.